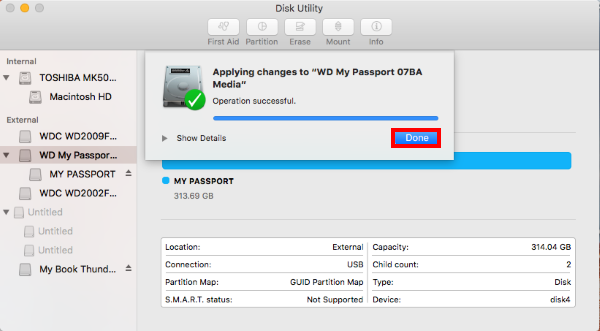 A Western Digital external hard drive can be used on both Windows and macOS. 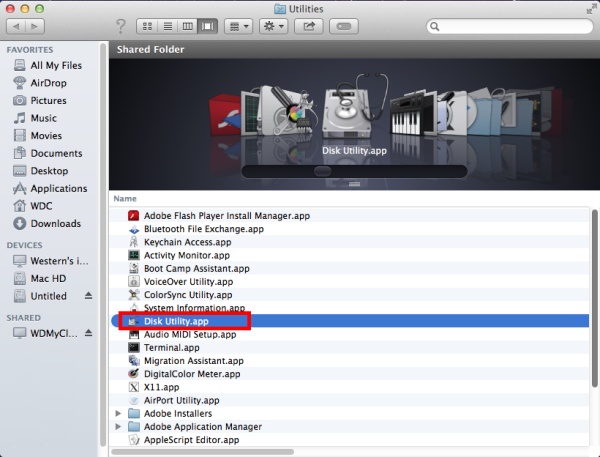 This is useful if a drive is being used under both Operating System (OS) to move files between the two environments. 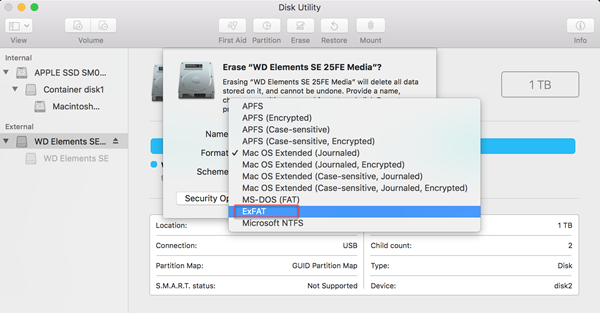 Most WD Drives come formatted in the NTFS (Windows) or HFS+ (macOS) format. 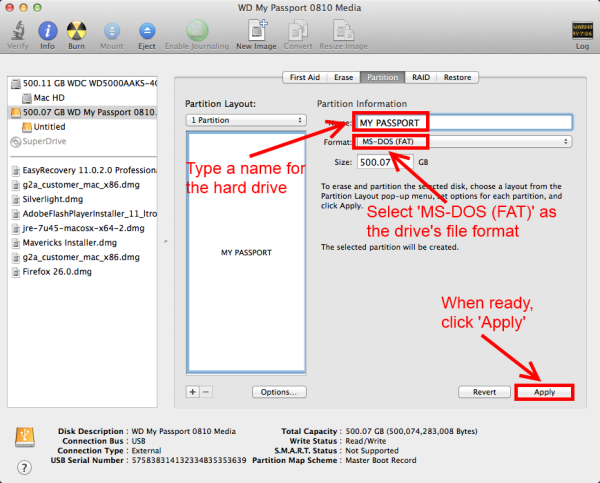 For a hard drive to be able to be read from and written to on both a Windows and macOS computer, it must be formatted to ExFAT or FAT32 file format. 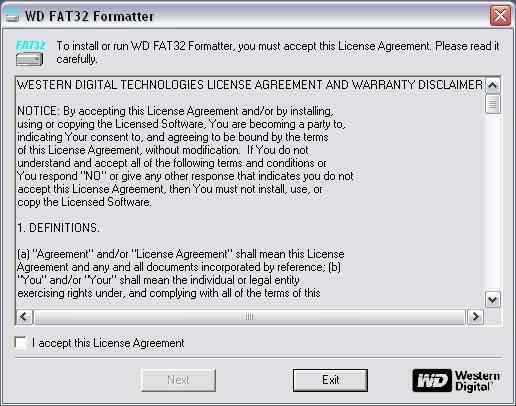 FAT32 has several limitations, including a 4 GB per-file limit. This is a file system limitation that affects both macOS&apos;s and Window&apos;s, and the only workaround is to format the drive to exFAT. For more information about what these limitations are please see Answer ID 1287: File and partition size limitations using the FAT32 file system (Windows and Mac). 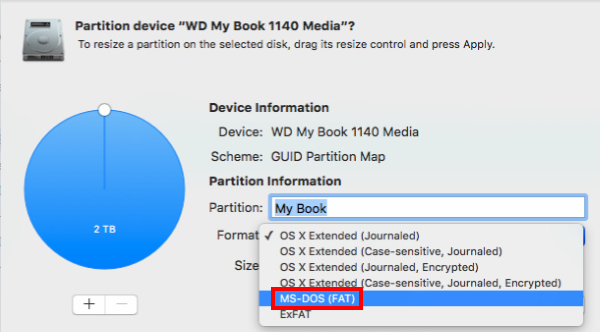 The easiest way to format the drive to FAT32 or ExFAT is by using macOS&apos;s built-in Disk Utility for FAT32, or both macOS and Windows' built-in tools, Disk Utility or Disk Management respectively for exFAT. Critical: Never attempt to connect any external drive to multiple computers at the same time. This could quickly damage the drive&apos;s partition and corrupt the data on the drive. Please select the Operating System (OS) in which the drive is to be formatted from the list above to display the instructions. Connect the WD drive to the Mac computer. Double left-click on the Mac HD, the internal Mac hard drive visible on the top-right corner of the desktop screen. Choose Applications from the left-side panel. From the Applications folder, open Utilities, and lastly double-click on Disk Utility. 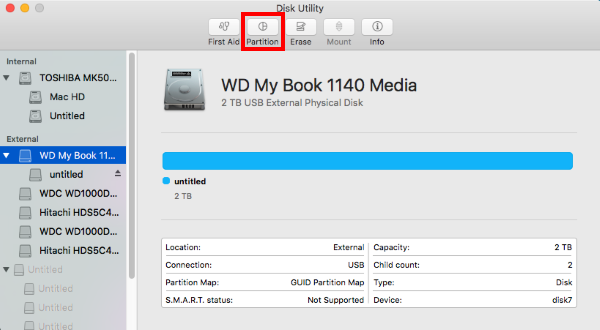 After selecting the appropriate drive, additional option buttons will become available on the top part of the Disk Utility window. Click on Erase. The Erase dialog window will now appear. Assign the name that will be given to the drive. Select the Format (file system) from the drop-down menu. 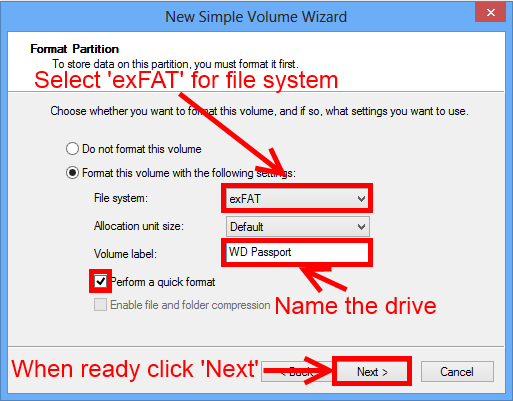 For this article, we chose exFAT, see image below. Select the Scheme (Partition Table Scheme) from the drop-down menu. See image below. Only legacy macOS systems, using non-Intel CPU&apos;s, will utilize the Apple Partition Map. It is best to use Master Boot Record only for MS DOS format. 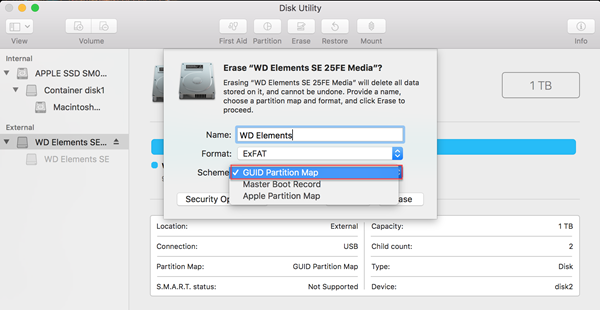 All Intel-based macOS computers and drives larger than 2 Terabytes should use the GUID Partition Map. Click Erase to begin the format process. When the Erasing process is completed, click on Done. 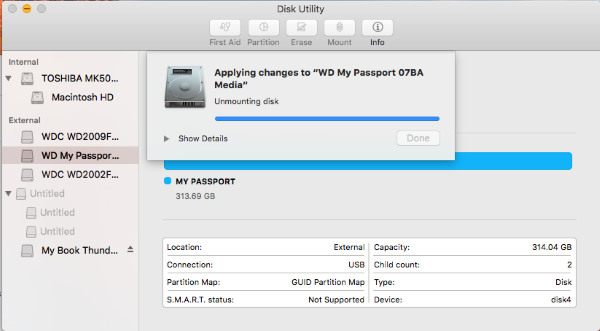 Click on Partition on the top menu of the Disk Utility window. The Partition window will now appear. Click next to Format to display a drop-down menu, and select exFAT. This is the format that the drive will be formatted to. 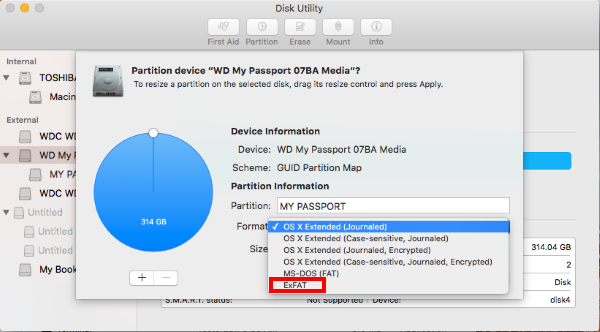 Confirm that the name of the drive is correct in the Partition area, and update it if necessary. When ready, click Apply. 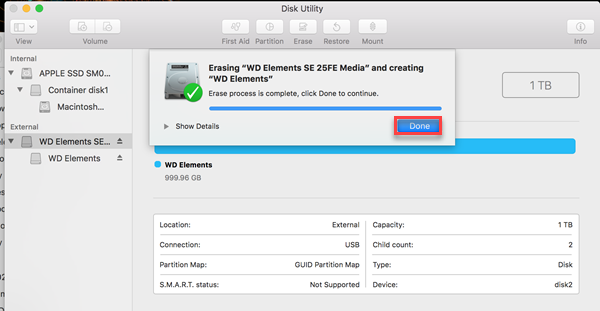 Disk Utility will begin the formatting and repartitioning process. This may take several minutes. 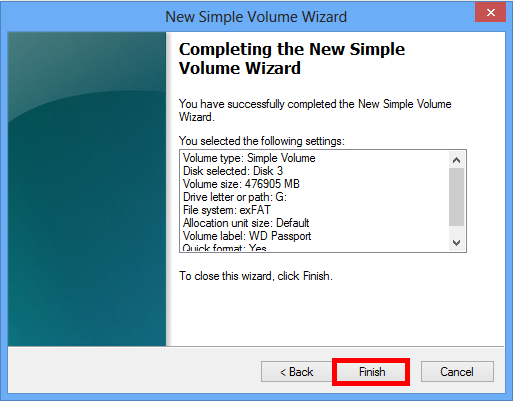 When finished, the drive will be formatted and repartitioned successfully. Click on Done. 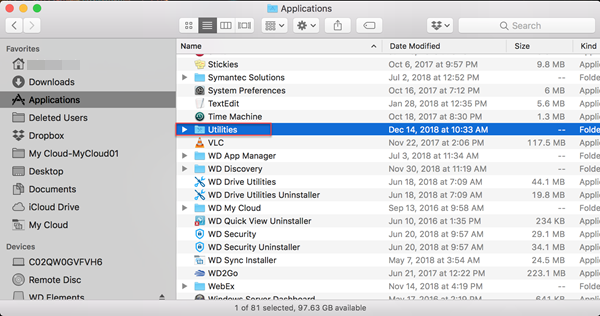 Begin by connecting the WD drive to the Mac computer. 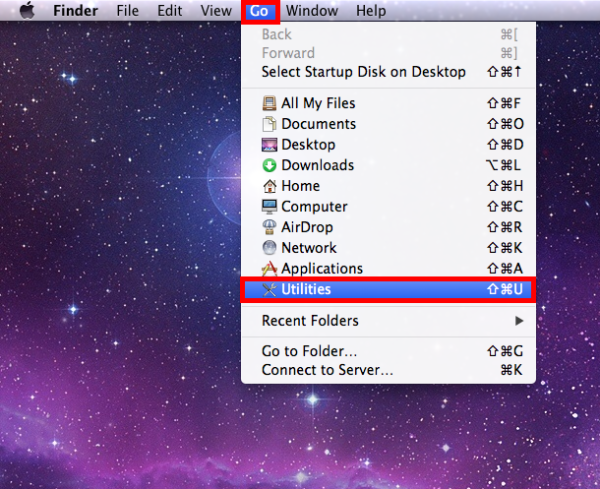 Once the drive appears on the desktop, click on Go on the top tool bar. From the drop-down menu, click on Utilities. 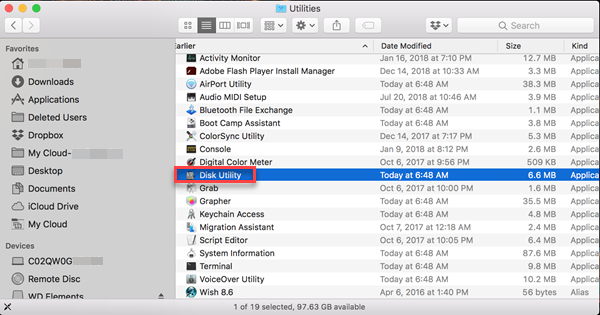 In Utilities, select and open Disk Utility. 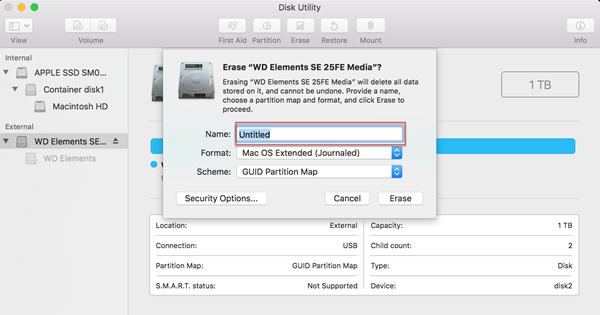 When Disk Utility opens, select the drive that is to be partitioned and formatted from the left-side panel. Typically there are two listings for each drive, unless there is more than one partition on a particular drive. Choose the drive listing that is farthest to the left for the drive that will be formatted. 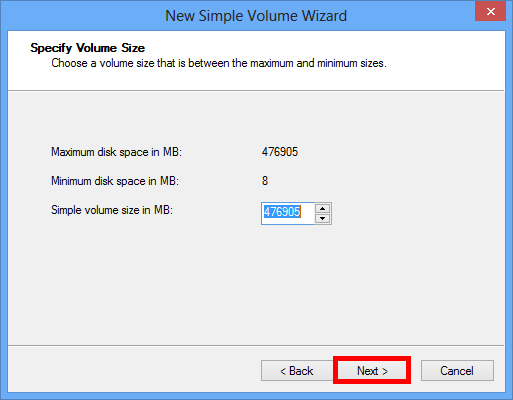 It is usually directly above the name of the drive, and is the drive selection that has the total size being displayed. Once selected, click on Partition on the right-side area. 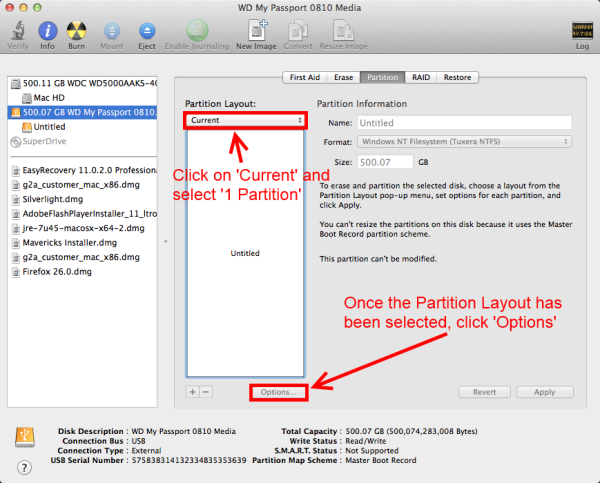 In the Partition area, click under Partition Layout and select 1 Partition. Then, click on Options. 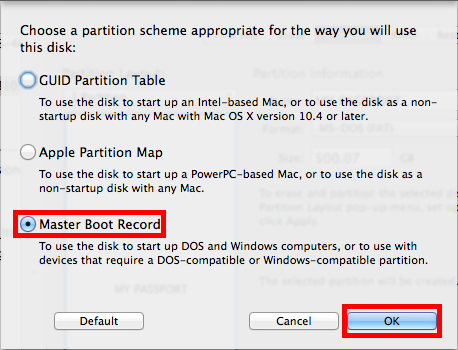 In the Options window select Master Boot Record and then click Ok.
To the right, insert a name for the drive, and click on Format. From the drop-down, select ExFAT. When done, click on Apply. A window will come up showing that formatting and partitioning the drive will erase all data that is on the drive. 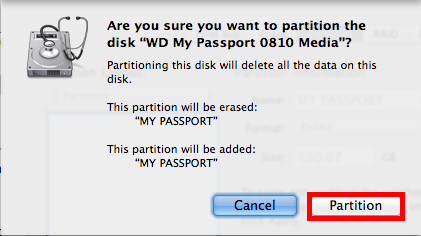 If there's no needed information within the drive, then click on Partition. If there is data on the drive that is needed or is not backed up, it will need to be copied to another location before proceeding. The drive is now formatting and a status bar will be seen at the bottom that says formatting the disk and gives the name of the drive, the format it is applying, and the name that was specified. When it is done, this bar will go away and the drive should now be listed on the desktop. Next is the File System, which controls how the data is read and written. Set the file system to exFAT, will leave the Allocation unit size to Default. 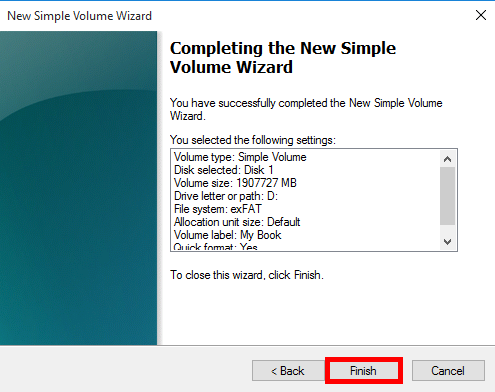 The Volume Label field can be customized in order to give the volume a desired name, such as My Book or WD Black 1. Check the box labeled Perform a quick format and click Next. Open Disk Management. 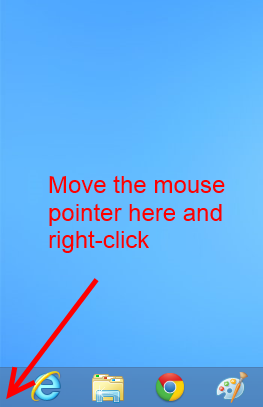 In Windows 8 this can be achieved by moving the mouse to the bottom-left corner of the Desktop and right-clicking on top of the Start menu screen. Important: On Windows 7, Vista, or XP, instead click on Start, right-click on top of Computer and click on Manage. 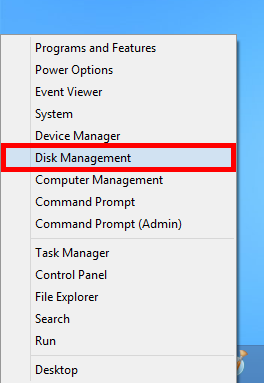 Then, click Disk Management right below Storage. From the menu, click on Disk Management. 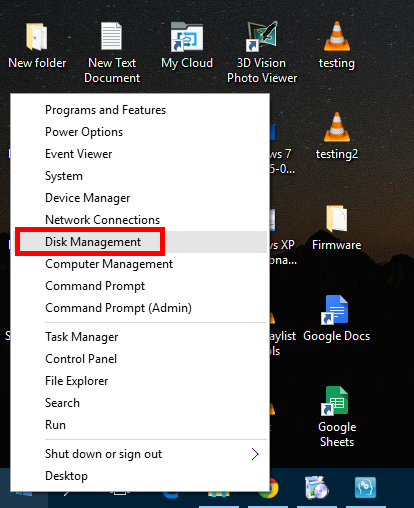 On other versions of Windows, Disk Management can be accessed through Control Panel, going to System > Administrative Tools > Computer Management. 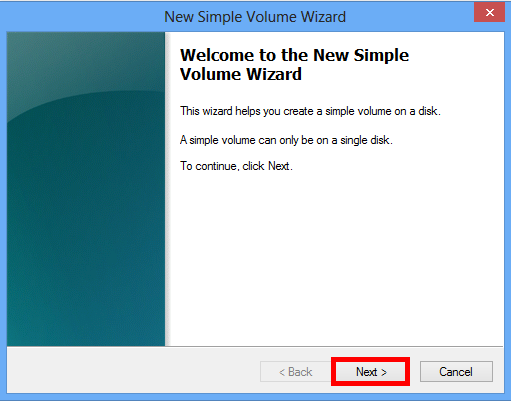 The New Simple Volume Wizard will appear. Click on Next. 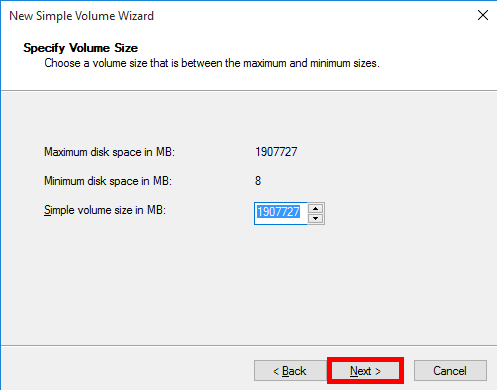 Leave the size of the volume to be the maximum disk space so it has only one volume. Click on Next. 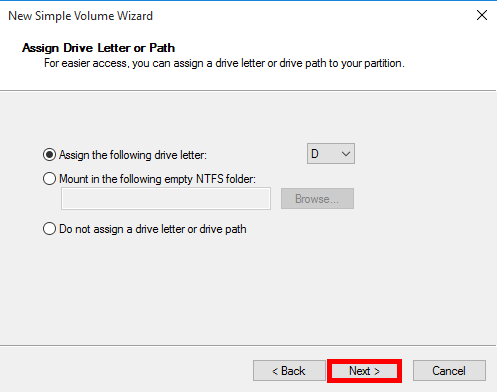 Assign a drive letter for the drive to have once the process is at an end. Windows will automatically assign one, but this may be changed if so desired. When ready, click on Next. 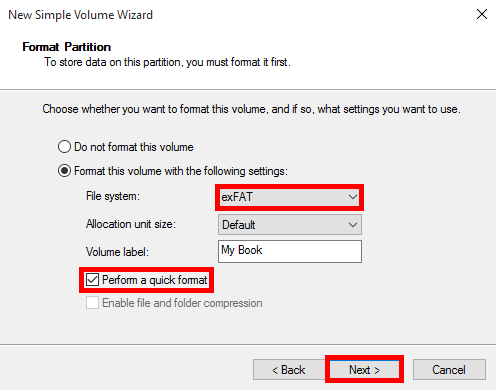 In the Format Partition section, select the File System to be exFAT and change the Volume Label to a desired name for the drive. Make sure the Perform a quick format check-box is highlighted, and when ready click on Next. The Wizard will display a summary of the selected settings for review. It is important to know that formatting and partitioning the drive will erase all data that is on the drive. If there's no needed information within the drive, then click on Partition. If there is data on the drive that is needed or is not backed up, it will need to be copied to another location before proceeding. If ready, click on Finish. The drive will indicate that it's Formatting for a few seconds, and once done, it will display as a Healthy (Primary Partition), and the drive will be available in the Computer area of Windows under the assigned drive letter. Western Digital technical support only provides jumper configuration (for internal hard drive) and physical installation support for hard drives used in systems running the Linux/Unix operating systems. For setup questions beyond physical installation of your Western Digital hard drive, please contact your Linux/Unix vendor. You may also wish to post on our Community Forums for assistance from other users of our products who may be able to assist you with your issue. 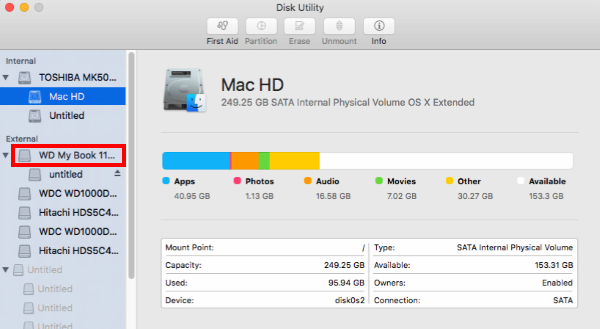 When Disk Utility opens, all available drives will display on the left-side panel. 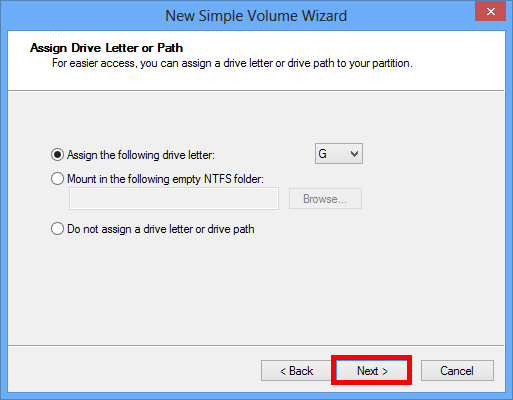 From said list, select the drive that is to be partitioned and formatted from the left-side panel. 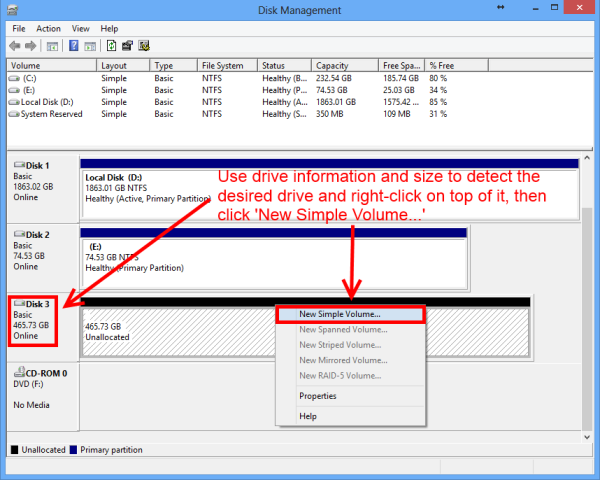 Typically there are two listings for each drive, unless there is more than one partition on a particular drive. 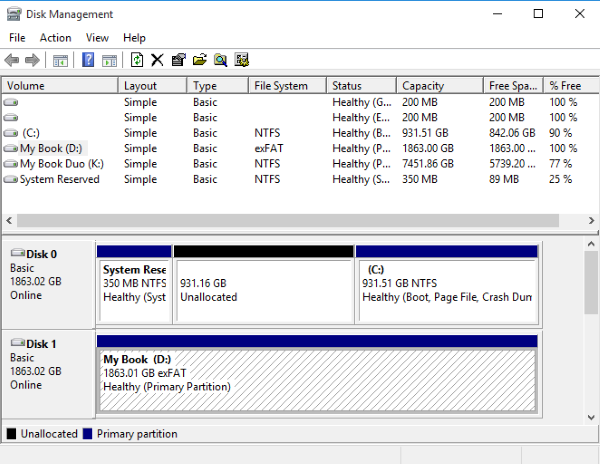 Choose the drive listing that is farthest to the left for the drive that will be formatted. It is usually directly above the name of the drive. 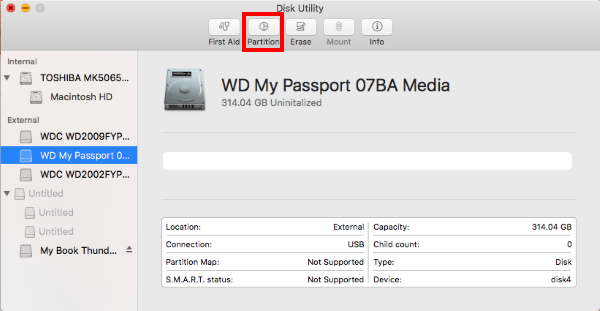 Once selected, click on Partition on the top area of the Disk Utility window. The Partition window will now appear. 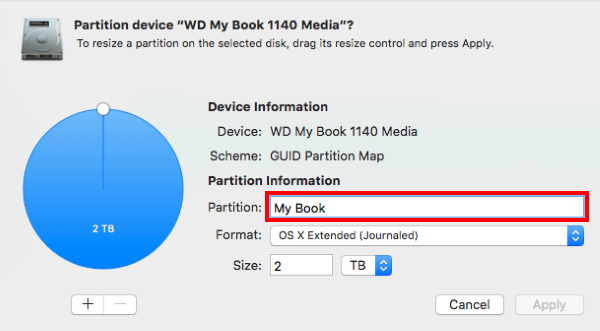 Next to Partition, assign the desired drive name for the device. Click on the drop-down next to Format and from the drop-down menu select MS-DOS (FAT). This is the format that the drive will be formatted to. If an error message is received stating that the drive is unable to be unmounted, this means that there is a program or service currently reading or writing data on the drive. Determine what program is accessing the drive and shut it down before trying to format the drive again. If the error message persists, restarting the computer may resolve the issue. 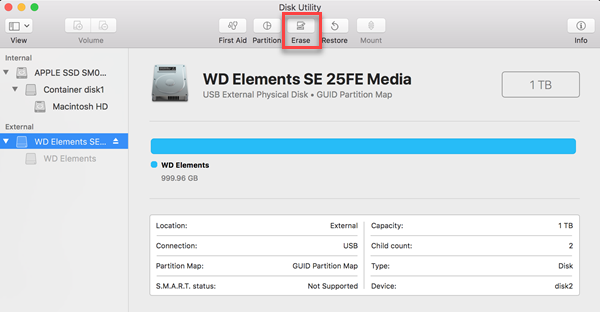 When Disk Utility opens, select the drive that is to be partitioned and formatted from the left-side panel. 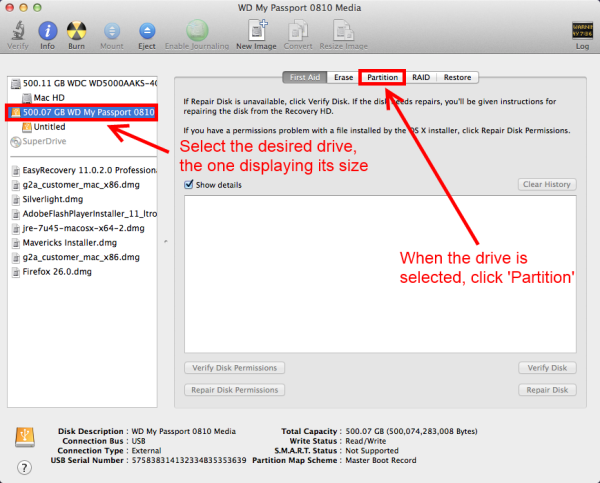 Typically there are two listings for each drive, unless there is more than one partition on a particular drive. Choose the drive listing that is farthest to the left for the drive that will be formatted. It is usually directly above the name of the drive, and is the drive selection that has the total size of the drive being displayed. Once selected, click on Partition on the right-side area. 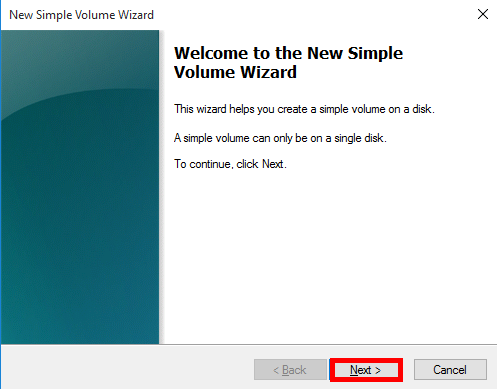 To the right, insert a name for the drive, and click on Format. From the drop-down, select MS-DOS (FAT). When done, click on Apply. Important: Windows 10, 8, 7, Vista, and XP can only (using the actual operating system itself) create FAT32 partitions that are 32 GB or smaller. 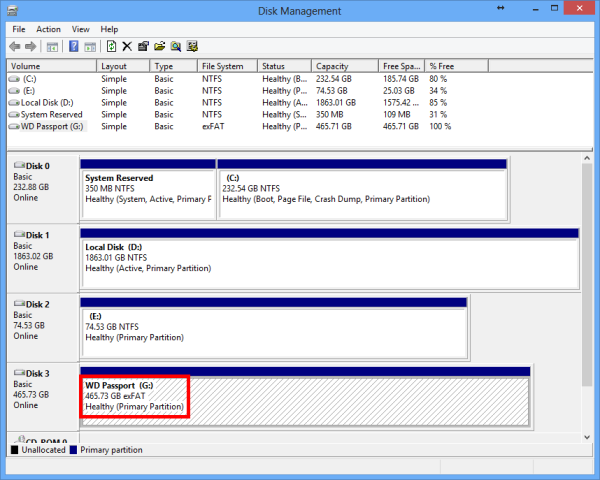 In order to format a drive larger than 32 GB using Windows OS, additional software may be required. Western Digital provides the Acronis True Image WD Edition software that allows users of our internal hard drives to format their drives. 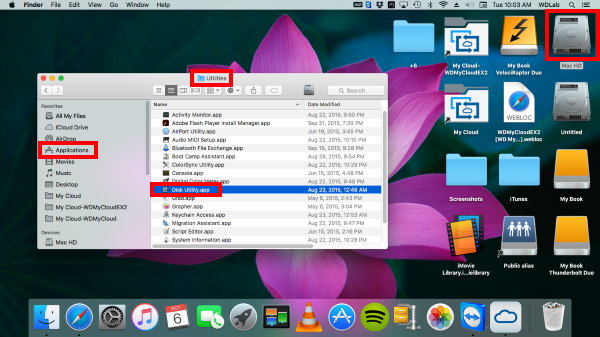 Users of our external drives will need to find third-party software to accomplish this task. Acronis True Image WD Edition can format any capacity internal single drive unit made by Western Digital. 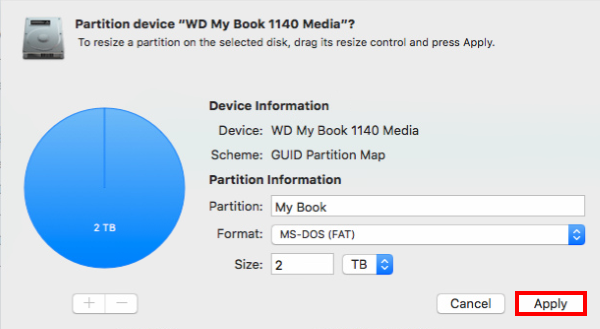 Please see the following article on how to format a drive to FAT32 using Acronis True Image WD Edition: Answer ID 3744: How to partition and format a WD drive using Acronis True Image WD Edition. As Windows is unable to format a drive over 32 GB in FAT32, the use of third-party software is required. 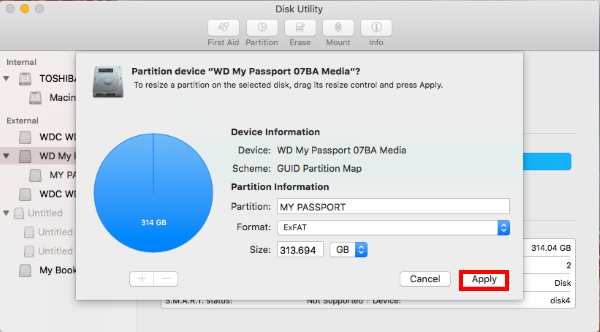 Western Digital cannot assist in acquiring or using third-party software to format a drive as FAT32. There are many different applications (many of them free) that can accomplish this. We recommend doing a search on Google or Bing by Microsoft for more information. 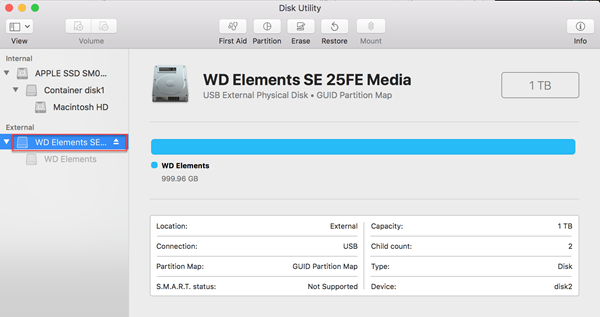 Should a Mac computer be available, we are able to provide support for formatting the drive as FAT32 under that OS. Another option is to ask on our Community Forums for community assistance in finding or using a FAT32 formatting application. 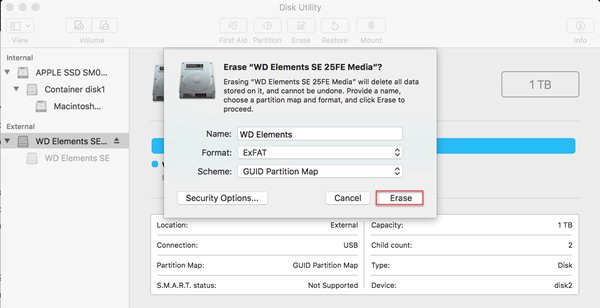 Western Digital has a Windows based utility that will reformat an older Western Digital external USB or FireWire hard drive back to the factory default FAT32 partition. 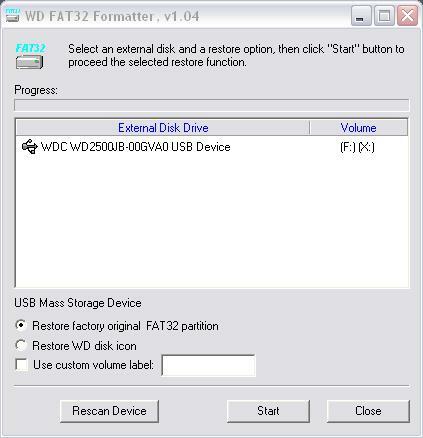 The FAT32 formatter software is only for older external single drive units and can only format a drive that is 1TB and below. It will not work on an external drive that is greater than 1TB in size. It also may not work on models released after 2007. When run, this utility can only create a single FAT32 partition for the full capacity of the hard drive. Please follow the directions below to download and use the Western Digital FAT32 formatting utility. Download the External USB/ Firewire Fat32 formatting utility (select the product being formatted from the list first). Double-click on the file named ExtFat32_vs2.00.zip and follow the onscreen prompts to install this program onto the computer. The file may need to be uncompressed using some type of uncompression or unzipping utility. Check the box labeled I accept this License Agreement and click Next. Select the hard drive that is to be formatted and click on Start. Critical: All data on the target hard drive will be erased during this process. Please remove or backup any valuable data before performing this step. A pop-up message will appear warning that formatting the drive will erase all the data on the device. Click on Ok to continue. The final popup will warn again that this will erase all the data on the drive. If this is the desired course of action, click on Yes.